“There’s no excuse not to vaccinate your child. 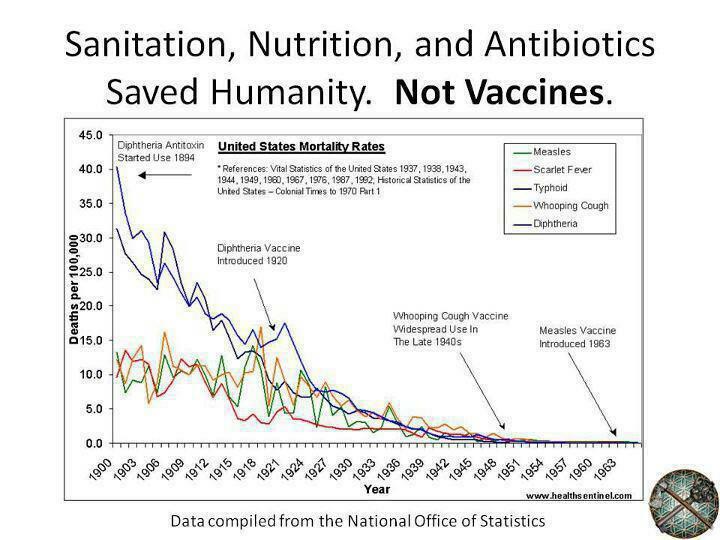 The science is clear – vaccinations are safe, and they save lives. Interesting idea, Jill. But what if someone’s GP also has an internet presence? Are they then a quack by definition? 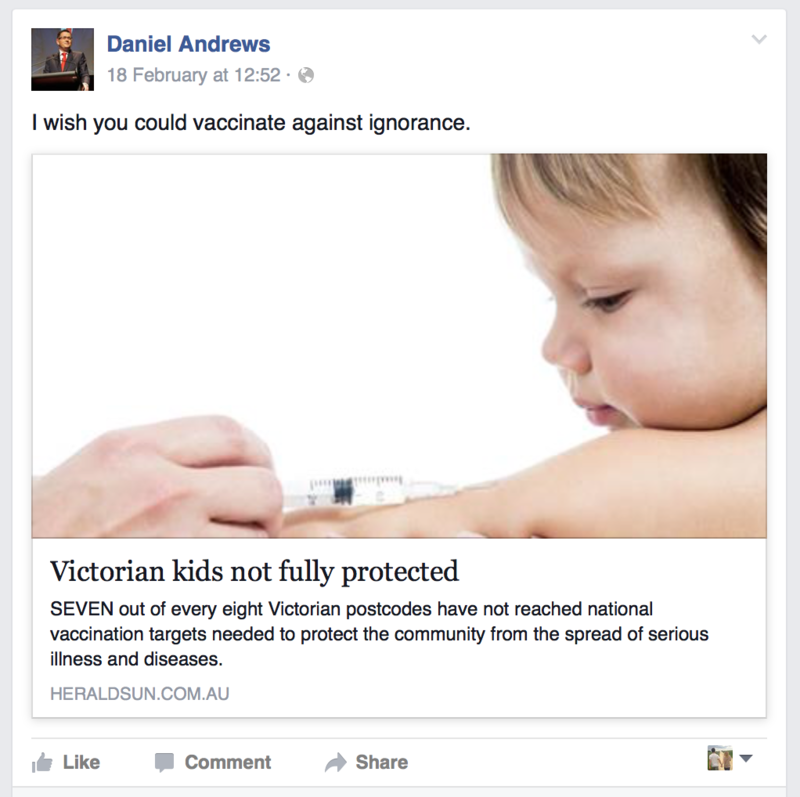 Can one be on the internet as a GP and NOT be a quack? Should we only consult with those MDs who have yet to access the great information highway and are sticking it out with carrier pigeons and the horse and cart? Are they the only ones left with any credibility? Does your GP ride a donkey to work, Jill? It’s all so confuzzling. Jill, your comments suggest a lack of consideration and forethought, not to mention wanting for logical consistency. Are you just trying to be clever by attempting to conjure a sly paradox for the filthy unvax’d to tie themselves in knots over? I hesitate to do this, because the shock may overwhelm you, but are you aware that dozens and dozens of qualified doctors and scientists do actually use the internet? Indeed, not only do many of these medical folk utilise the great connector that is the WWW, but many of them also strongly disagree with your claim that “The science is clear – vaccinations are safe, and they save lives.” It is a fact of history known to investigators that vaccination has been strongly opposed on medical grounds from day one – and Edward Jenner, the “discoverer” of vaccination, was a most questionable character indeed. (As an aside, we have heard many other politicians utter the dreaded “the science is clear” phrase of doom vis a vis anthropogenic global warming – Joe Hockey comes to mind.) Did you offer any clean, clear, rational, non-corrupted evidence to support your viewpoint in your TV interview or your FB status? No, thou didst not (and neither did poor ol’ Joe Hockey! ), and unfortunately thy lack of integrity “doth butter no parsnips,” to paraphrase a UK comedian. Let us guide you through some sentiments shared by doctors and other researchers, and yes, this is just a teeny tiny fraction of the glorious “quackery” to be found on that dangerous terrorist-breeding interweb! (Radicalization ahoy!) We offer the following so that next time you or a colleague offers an opinion on the subject it might actually be vaguely well informed – by people who actually know something about the subject and aren’t merely regurgitating politically correct age old pharmaceutical propaganda. Some of us have actually actively been investigating this area for nigh on a decade (or much longer for some), so I suggest that perhaps before you embark upon the following reading, a spoonful of humility may help the facts go down (assuming facts hold any interest for you). The Beginnings of Massive CDC Corruption Disclosures? A conscience stricken Thompson, who kept copies of the documents that were destroyed, has invoked federal whistleblower status and handed over the more than 100,000 pages of incriminating documents to Congress. Thompson has asked to be subpoenaed to testify about the corruption at the CDC but the Congressional Government Oversight Committee, drowning in Pharma cash, has so far refused to hold hearings on this extraordinary scandal. Meanwhile the corporate media…has thoroughly suppressed the story. The full documents handed in by Dr William Thompson CDC whistleblower are available for perusal at the following links (Folder 1 and Folder 2) for the academically-minded seeking to research and discover the murky depths of the deception at the CDC. Okay, so that should help those who weren’t already aware to begin to understand how deep the corruption runs at the highest levels (thanks to the tentacles of Big Pharma being in every crack and crevice of medical science and government). Corporations control the world and Australia is absolutely no exception, in fact, we’re a fantastic example of the dismal global situation – and our scientists remain largely clueless. “While I had initially been furious if parents came in and were not up to date on their children’s vaccines, this attitude changed. And changed drastically. I began to see patterns. Children who were seen in the vaccine clinic would then come to our ER with seizures, respiratory arrest and asthma attacks. I began to realize, not all children respond well to vaccination and in fact, some die. It wasn’t until my masters program in disaster management at BU, which I began in 2010 and finished in 2012, did I begin to see the fraudulent nature of how vaccines are being marketed and the corruption in the advisory committees. 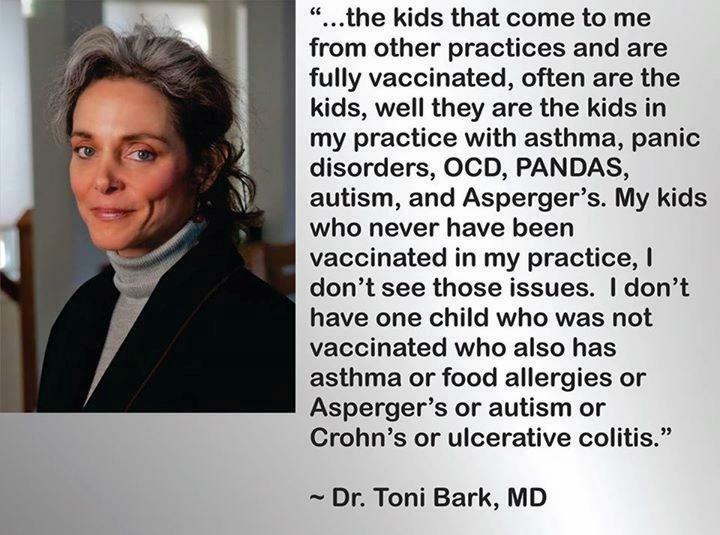 I had not even been made aware of the federal vaccine court. I had no idea vaccine recipients who were damaged or killed from vaccines had zero recourse with the manufacturer or physician. Vaccine manufacturers enjoy full immunity from law suits of any kind, including defective design (as opined by Scalia in Feb 2011) as they are legally listed as “unavoidably unsafe”. The vaccine court is almost a secret. They have paid out 3 billion dollars since it’s inception in 1986. The vaccine adverse events reporting system is also not well advertised and the government admits it probably only receives 10 percent of the adverse events which occur. We mandate more vaccines than any other country. We also have the worst infant mortality rate of any first, second, and even some third world countries. I am 55, so I only received a handful of vaccines. Today, infants receive 14 different vaccines by age of 1 and by age 18, that number is 58 and in some states with flu vaccine mandates, that number is much higher. 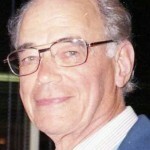 – John B. Classen, M.D., M.B.A.
“It appears that the American Academy of Pediatrics, the Center for Disease Control, and the FDA are not reading and evaluating the vast literature that indicates that vaccinations to control whooping cough, diphtheria, measles, mumps, rubella, and polio are not effective, and worse yet, are hurting the children’s immune systems to the point of allowing these same diseases and other devastations to invade their unprotected bodies. – Dr. Lendon Smith, MD, Are We Kidding Ourselves? “According to government figures, deaths from measles had decreased by 95pc before the first vaccine was introduced in 1968. The decline was steady, indicating that the disease was dying out naturally. Diseases do die out on their own. Deaths from measles had gone from 1,145 in 1941 to 100 in 1967. The figures have continued to decrease, but not at any greater speed. So what caused the decrease in the first place?Better public health has had the greatest effect. The Victorians did a tremendous amount to improve our living conditions. The Victorians took sewage out of the streets and rivers, built railways which brought fresh fruit and vegetables to the towns, and knocked down slums. The slums were replaced, bylaw, with cleaner, better-ventilated houses. infectious diseases could no longer thrive in the improved conditions, and better diet meant stronger immune systems. I believe vaccines weaken the Immune system. In 1994, the British Medical Journal wrote that it was well known among immunologists that auto-immune disease such as asthma, eczema and diabetes are the price we pay for eradicating infectious diseases. 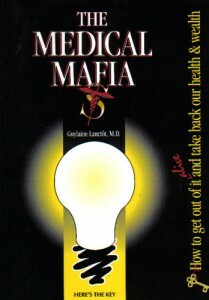 The author said that our immune system had matured and developed purely because of catching the diseases we are trying to eradicate. In my opinion, normal childhood diseases are basically good for us. 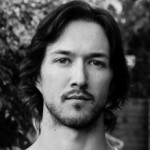 They teach our immune system what is “us” and what is foreign. All our childhood diseases were killers when they first came along. They wiped out thousands because we had no natural immunity against them. Diseases infect us and, in turn, strengthen our immune system. – London-based GP and homeopathic physician Jayne Donegan (right), quote from The Daily Mail, 17 October 2000. “There is no need to protect children from contracting infectious diseases of childhood. These diseases are there to prime and mature their immune system. An unvaccinated child will have a couple of common colds within the first year of life while chronic ill-health, a constant stream of common colds, otitis media, and upper and lower respiratory tract diseases is well-documented in vaccinated children. A well-nourished child will go through rubella, whooping cough, chicken pox and the rest with flying colors. Only the vaccinated develop atypical forms of the diseases (atypical measles, mumps and whooping cough) which are much more dangerous. Having measles not only protects against measles later on, it has been demonstrated that suppressing measles fever and rash by vaccination leads to cancer and degenerative diseases of bone and cartilage as documented in Lancet 1985 September 5. According to the British Medical Journal suppression of skin eruptions like eczema leads to cancer. In 1958 there were 800,000 cases of measles and from 1974-1976 there were only 30,000 cases. Today about 800,000 die of cancer each year. Is the upsurge of child leukemia and cancer coincidental with the mass use of vaccines (especially the polio vaccines)? “We would expect that vaccinated individuals would not be involved (or very minimally involved) in any outbreak of an infectious disease for which they have been vaccinated. Yet, when outbreaks are analyzed, it becomes apparent that most often this is not the case. Vaccinated individuals are indeed very frequently involved and constitute a high proportion of disease cases. 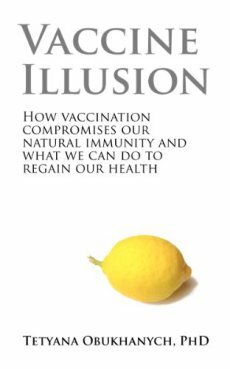 – Tetyana Obukhanych, PhD immunologist and author of Vaccine Illusion in an interview. – Dr. Walter Hadwen, MD, LSA, MRCS, LRCP, MB, BS, BSc. 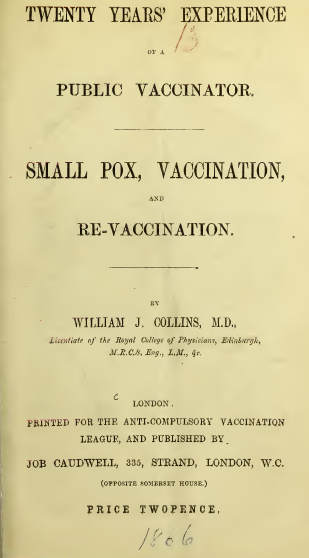 Hadwen presented The Case Against Vaccination at Goddard’s Rooms, GLoucester, Jan 25, 1896. – Dr. Vernon Coleman, MB. 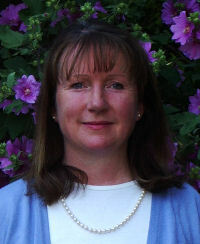 Coleman is a registered and licensed general practitioner principal and a former Professor of Holistic Medical Sciences at the International Open University in Sri Lanka. He has an honorary DSc. He has given evidence to the House of Commons and the House of Lords in London. According to figures from Sharyl Attkisson, since the VICP was initiated in 1986 in the US, the total amount paid to victims is approximately $3.1 billion. 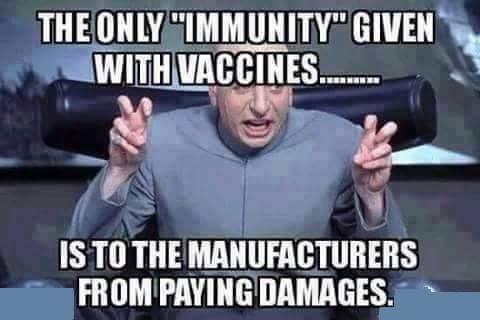 Since 1998, over 15,916 claims have been filed in vaccine court. 4,121 were compensated, 9,904 were dismissed. (Check out the GAO Vaccine Injury Compensation Report here). Consider the breathtaking entrenched/sacrosanct bias towards the “safety” of vaccines, and that it is extremely unlikely that even 10% of vaccine injuries are ever even reported and recorded in the VAERS and you can see what vaccine-injured families are up against. 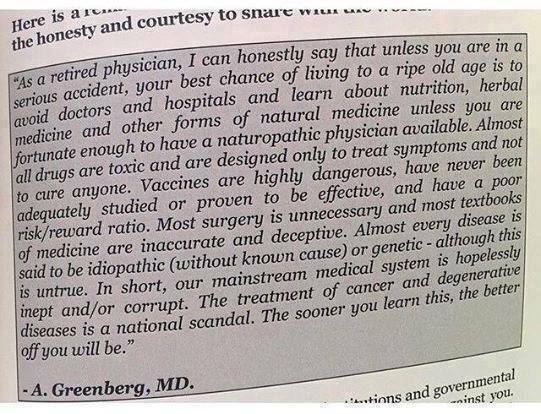 There are serious problems that have been swept under the rug and disguised for far too long by a deeply corrupt medical system that is basically completely controlled/compromised by the pharmaceutical industry. This is a recipe for disaster and the proof is there for all to taste in a very bitter pudding (if we choose to remove our craniums from the sand). 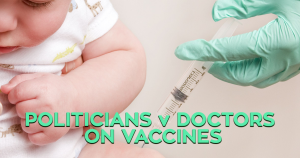 Last, but certainly not least, here is a list of 160+ doctors and scientists with serious concerns about vaccines. Obviously they must all be quacks…right? In my view, responsible parenting (let’s face it: this debate hinges largely around the idea of protecting children – an emotional trigger tactic used by medicine/Big Pharma), by definition would involve actually heavily studying the vaccine subject and not simply trusting opinionated doctors or politicians before injecting a cocktail of god knows what (we’ll talk about the ingredients another day) into your child. Sounds rather like common sense in a way, doesn’t it?